Lt. Bob T. Rogers' Starmax is shot down and he has to abort. 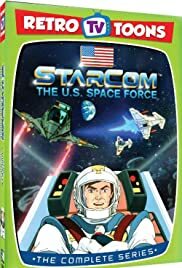 General Torvek strips it of it's main operating chip, making him able to remote control all of Starcom's vehicles and weapons. Lt. Bob T. Rogers: Dash, they're hugging me like long lost grandparents!